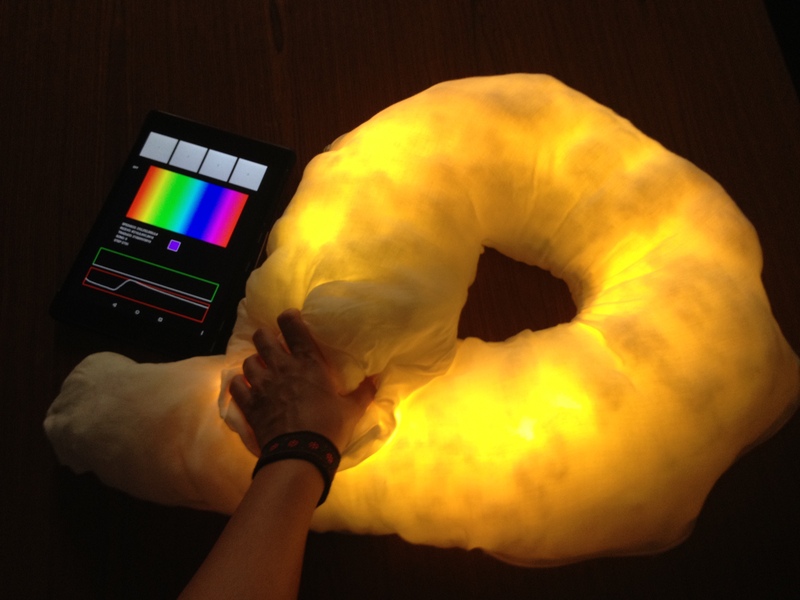 We have already done the second prototype of “+me” project which is an interactive pillow providing sensorial feedbacks during therapies of children with autism. This new version has Bluetooth connection, capacitive sensors, tablet application and speakers. Also, we have started to collaborate with therapists of “Villa Dante” to develop the prototype after having experiments with children.